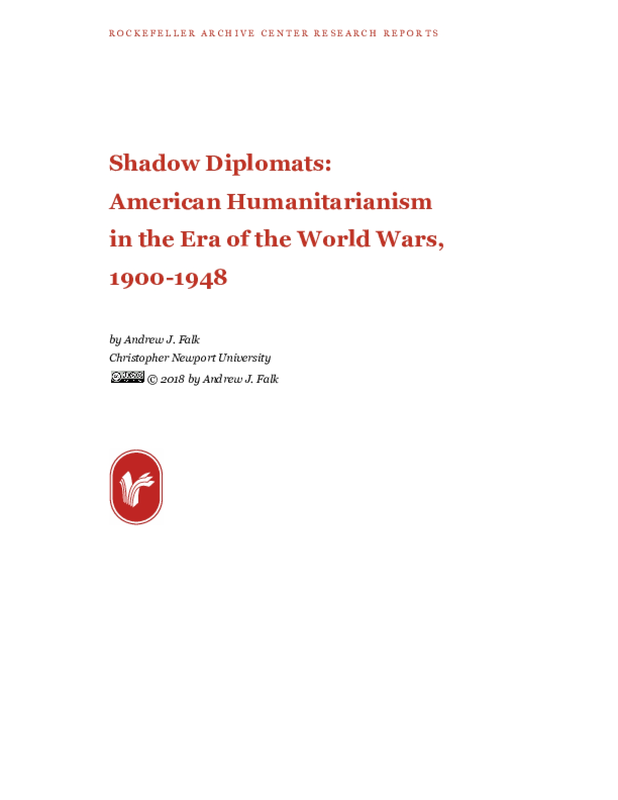 This project examines the development of American humanitarianism in the era of the world wars. It explores how, in the absence of state power, private citizens often filled the void. Their activities expand the common definition of diplomacy by noting myriad ways private organizations and individuals, including the Rockefeller Foundation and its partners, attempted to influence the direction of American foreign relations. The primary argument here is to demonstrate that American citizens, who grew frustrated at the lack of government involvement in world affairs during the first-half of the twentieth century, sought to insert themselves into positions of power and influence. This project shows that, in the absence of the state, many American individuals and NGOs formed partnerships and coordinated their humanitarian activities on a global scale. In specific ways, they undertook the roles and strategies of foreign policy professionals: stationing professionals in foreign offices, raising and appropriating large sums of money, providing food and medicine, coordinating the mass migration of refugees, and negotiating with foreign governments. By doing so, they acted as "shadow diplomats" – working as a shadow government in opposition to the recognized state authority, but also working in the shadows, away from most public attention and scrutiny, because they reasoned that quiet actions would produce the desired results.